CIAN is the Center for Integrated Access Networks, a ten-university Engineering Research Center (ERC) funded by NSF. CIAN is working towards creating transformative optical technologies to enable an affordable faster internet for the future. CIAN welcomes undergraduate students located at or near a CIAN university into our labs to participate in research that is creating ultra-broadband communication for the next generation internet. Participants will be given consultation and financial support to obtain real hands-on research experience in optical communications, thus preparing or expanding the career potential for participants both in the classroom and in the workforce. CIAN aspires to create a technological revolution in internet access speeds. 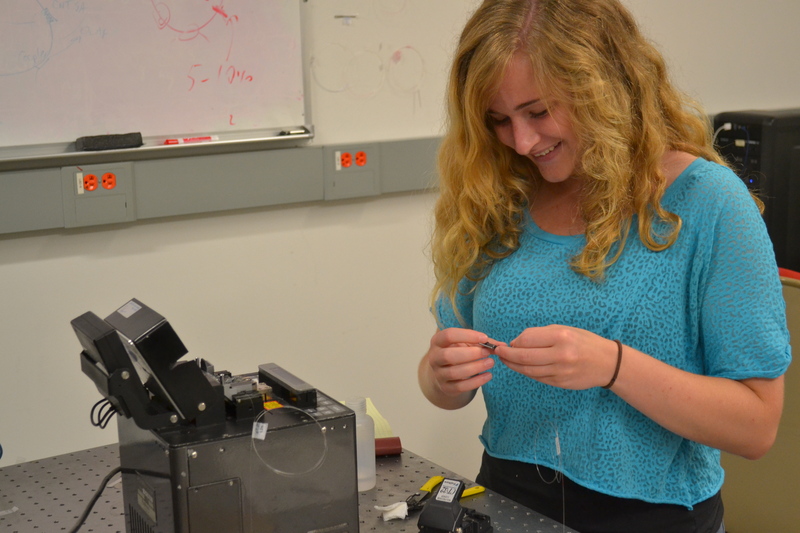 Students will conduct research in a cross-disciplinary setting collaborating with faculty, graduate students, research engineers, post-docs, and other students. Also, the program will develop partnerships between the mentors, faculty, and students to develop effective means of transferring STEM (optical communication and networking) knowledge. Undergraduate students at a CIAN university or at any four-year college or community college that is located near a CIAN university are eligible to apply. Students must be majoring in a Science, Technology, Engineering, or Mathematics (STEM) field as an undergraduate student. Minimum 3.0 GPA on a 4.0 scale. 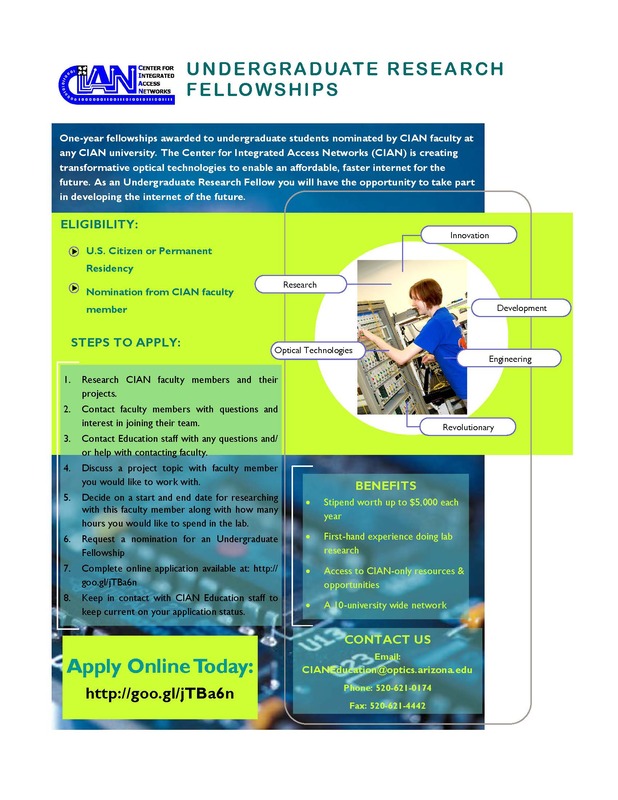 CIAN strongly encourages applications from underrepresented minority groups, women, first-generation college students and students that do not have previous lab research experience. US Citizenship or permanent residency is required. The CIAN Faculty member nominating your application must contact us by emailing or calling CIANEducation@optics.arizona.edu or 520-621-0174 to alert us of their support for your application. Please mail an official transcript to the CIAN headquarters. All mail may be directed to CIAN headquarters. Email Amee Hennig with any questions.